Home plumbing systems have been present in human lives since the ancient times. And it is no wonder, since they make our lives more comfortable and functional. Naturally, only when they are in perfect working order. On the other hand, when there are major plumbing problems, they can be a real nightmare, especially if that happen in the property that you just bought. To prevent small problems from escalating into large issues, regular check-ups of the entire plumbing systems need to be performed. Here is what a list of critical check-up areas needs to contain and how a proper inspection should be performed before buying a home. One of the most important preconditions for the home plumbing system inspections to be fully successful is to make them a regular activity. Not only are regular inspections time and money saving, but they are the only way that makes it possible to react in a timely manner and stop small issues from turning into major problems. Dedicating a day of the week to a single room is the most efficient way of performing regular checks. It will only take a couple of minutes a day, yet it will enable you to sleep soundly every night. Start with the faucet. Turn on the hot water and monitor how quickly it reaches the faucet. If it takes a while, the sediment has piled up and it needs to be cleaned. The sediment causes low flow and increases water and energy bills. Next, check for corrosion and leaks – the sooner you spot them, the easier the fix will be. Now, check the water connections within the sink cabinet. Check if there are moisture and stains on the connections and pipes. If either of them is present, there is a leak somewhere. Lastly, inspect the drain lines for stains and corrosion. Run the faucet and check if there are visible leaks and if the water flow is continual. If it is not, there is a clog within the drain and it needs to be removed immediately. Naturally, this is a room that contains the majority of the household plumbing and requires additional attention. To begin with, repeat everything that you did during the kitchen plumbing inspection. Once you made sure everything was alright there, move on to the tub or shower. Check the working order of the main valve first and make sure there are no leaks anywhere. If the drain flow rate is normal finish by checking the shower head. Once you make sure all the connections are leak free and tight, move on to the toilet. Flush it. If the bowl empties and clears and the tank refills to an appropriate level, everything is fine. If the water keeps running, you will need to fix the flapper. Once you have done that, finish by checking the working order of the toilet shut off valve and any signs of corrosion on the piping. Every plumbing area counts and everything needs to be regularly checked, tell us at a trusted Hazlet-based plumbing service. This includes the laundry room, too. Hot and cold water washer hoses are at the top of the checklist there, just like the washer drain hose. Next, the basement and attic need to be checked, as well. They usually contain only pipes and connections and checking them for signs of leaks and corrosion completes the task. Once you finish this, move on to the outside area of the house. Check the shut off valve of the sprinkler system and the hose bibs, and closely inspect the ground for signs of water. If there are any on a dry day, you have a leak somewhere. Finally, check the water meter. Close all water and if it is not turning, your check is over. If it is, there is water running somewhere and you need to find the exact spot and deal with it as soon as possible before greater damage occurs. 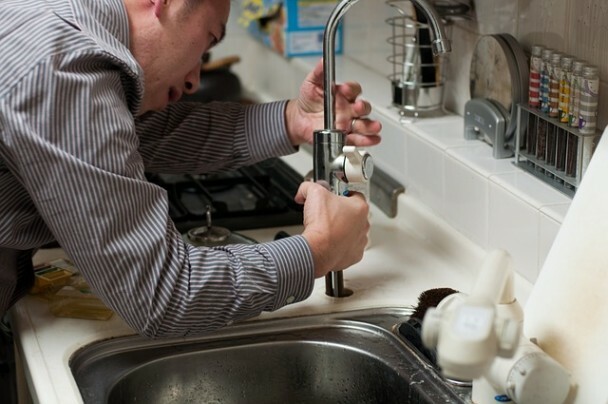 Regular and thorough checks are essential for keeping your house plumbing system in perfect running order. Those 30 minutes you spend doing it entering a new home can often turn out to be priceless when it comes preventing any greater damage that may result from minor problems that were not noticed and dealt with immediately. When you know that housing is still the best investment strategy efforts like these are more than justified.